Ipswich Town are back in the top six of the FLC after a â€œdeservedâ€� victory over Leeds United at the weekend at Portman Road. Manager Roy Keane said the win was deserved after taking three points following the 2-1 win on Saturday. The crowd of over 23,000 was the biggest so far of the season at the stadium. 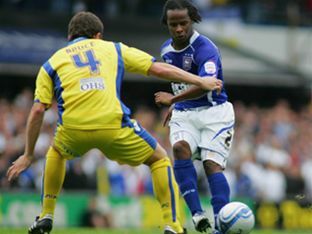 Ipswich's first goal was scored after 18 minutes with Jason Scotland giving the home side a first-half lead with their second and game decider, scored six minutes from time.